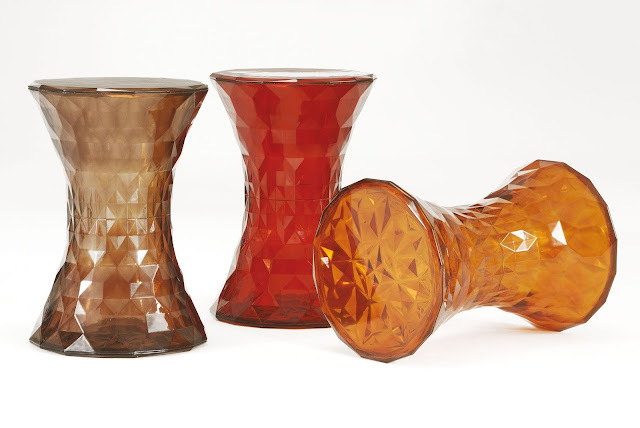 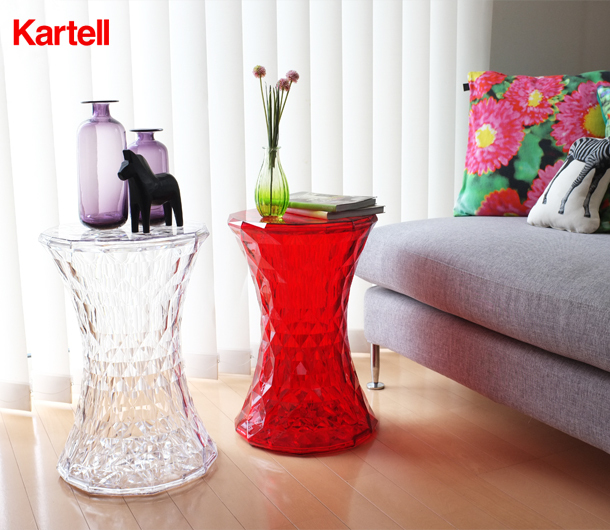 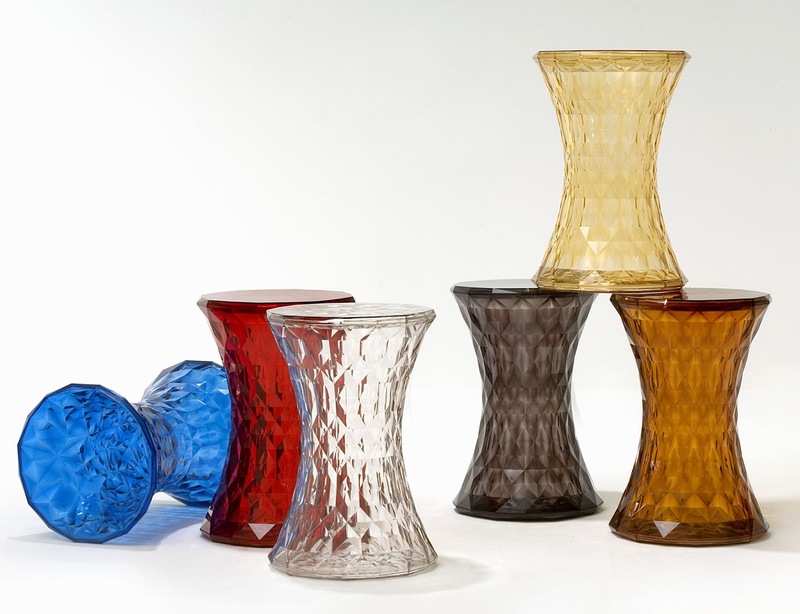 The Kartell Stone stool was designed by Marcel Wanders for Kartell in Italy. 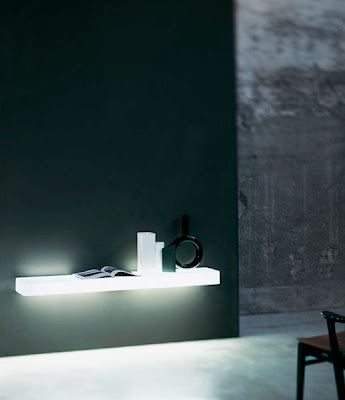 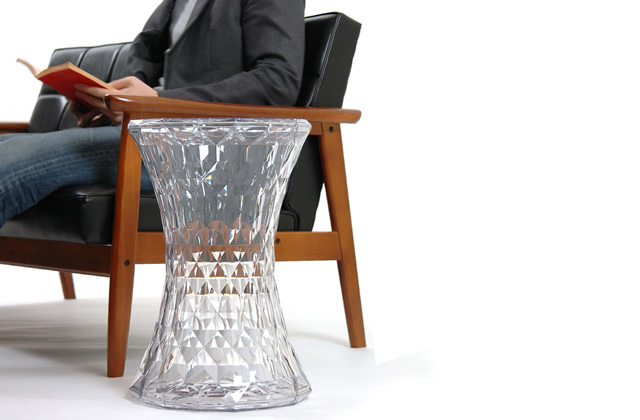 Stone is a stool with a simple shape but with a very precious appearance. 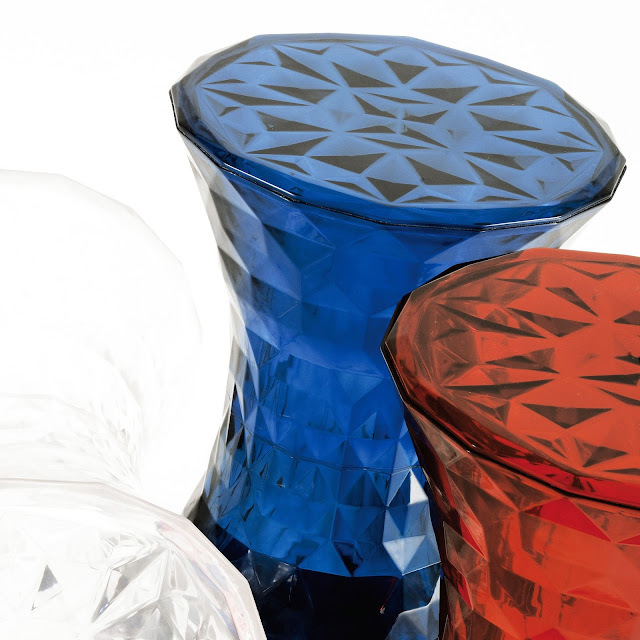 A glittering jewel of a stool, the Stone Stool displays a striking use of simple polycarbonate that mimics nature's most precious elements. 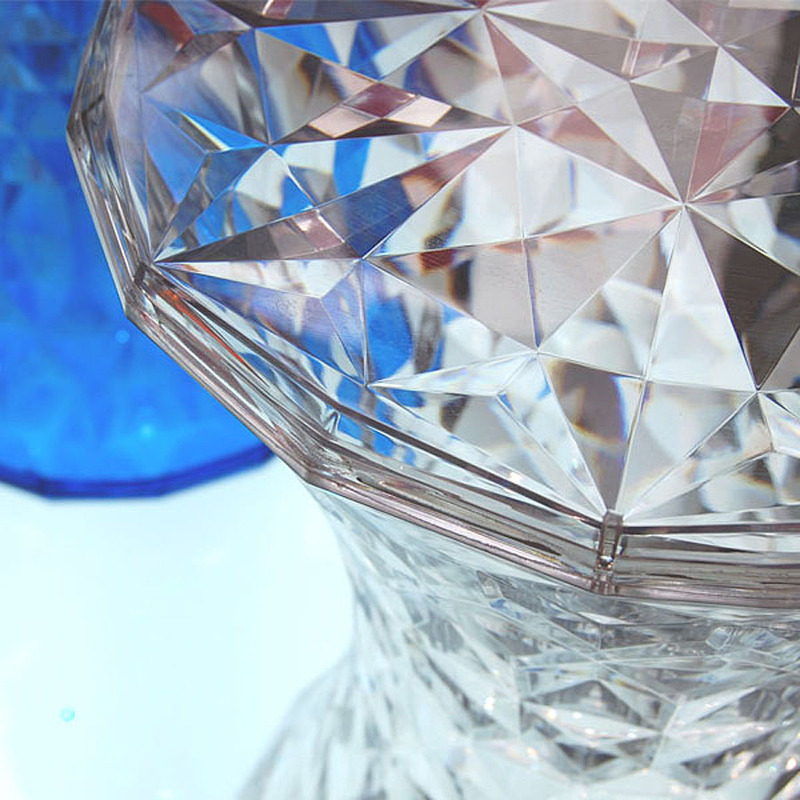 Its simple hourglass shape contrasts with its extraordinary faceted surface, which reflects light in the manner of a diamond. 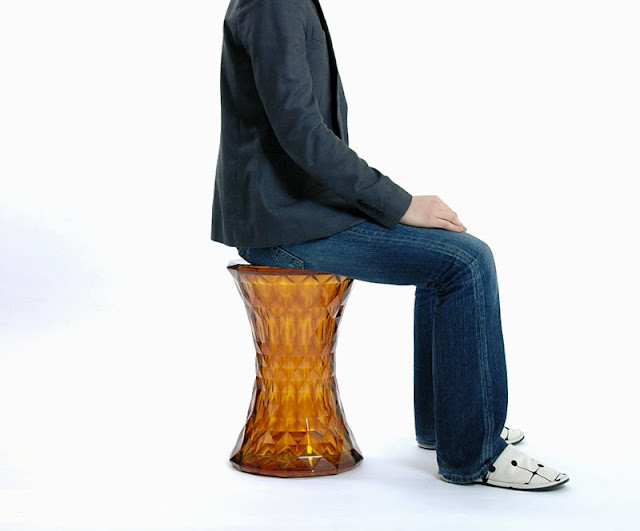 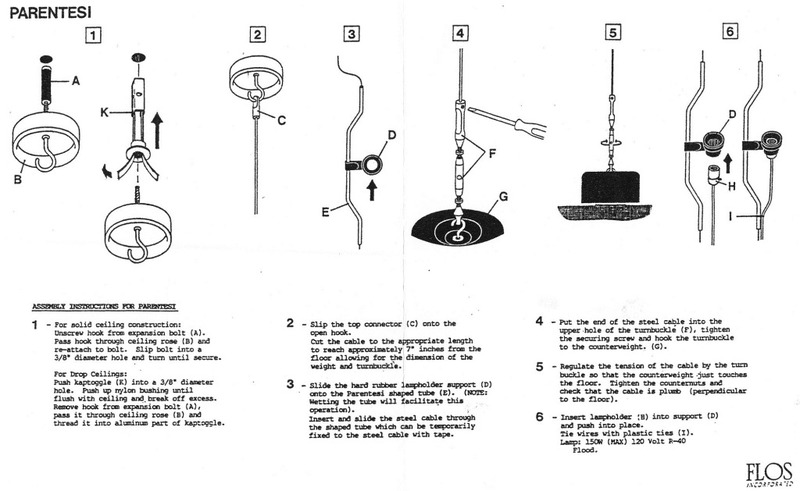 This stool can be used indoors or outdoors. 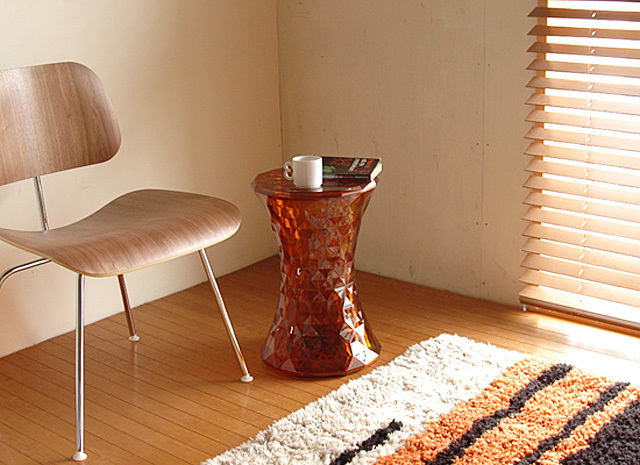 Stone is a stool with a simple shape but with very precious appearance. 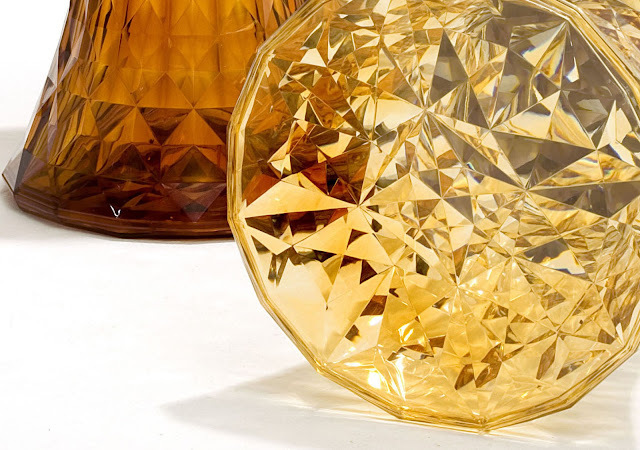 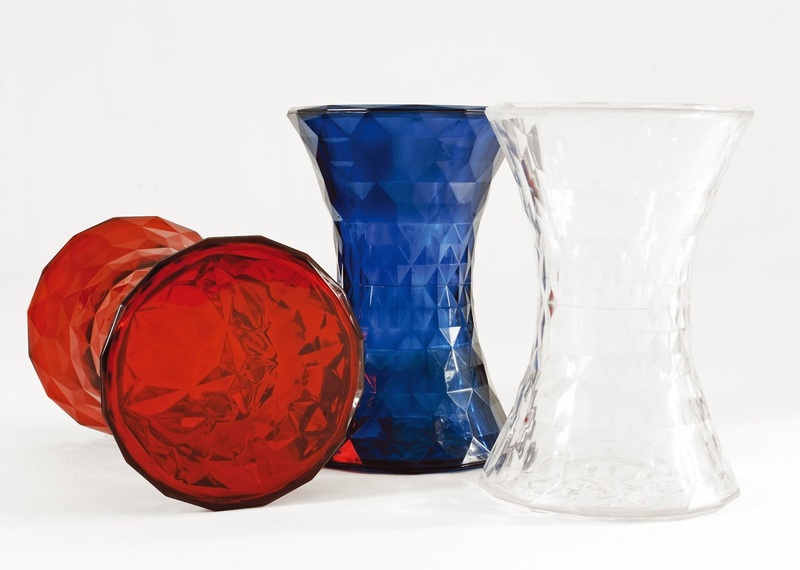 Made with essential symmetrical linear shape which is reminiscent of an hourglass, its surface is simply extraordinary: its irregular and comprised of a myriad of geometrical facets which reflect the light and create a striking and unique play of colors, much like a diamond. 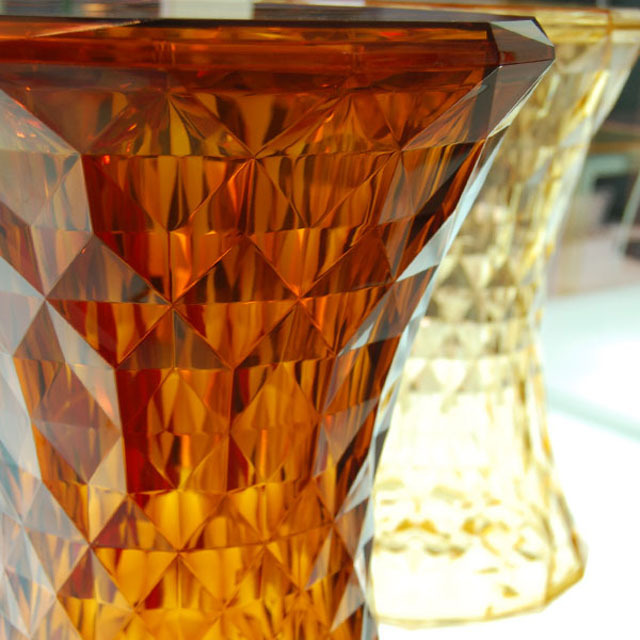 Because of its jewel-like nature, Stone is offered in the colors of precious stones. 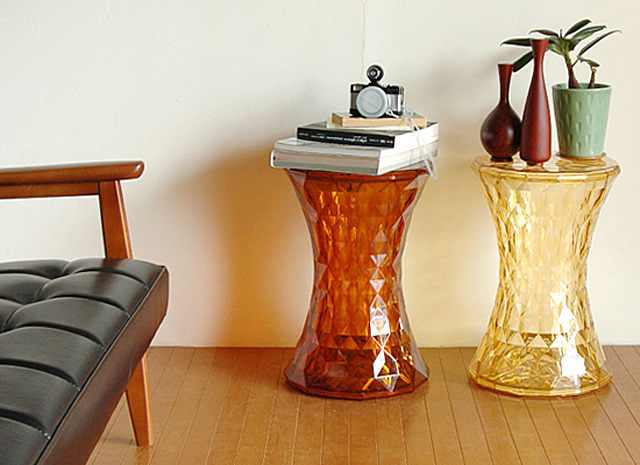 Stone may also me used as an elegant side table. 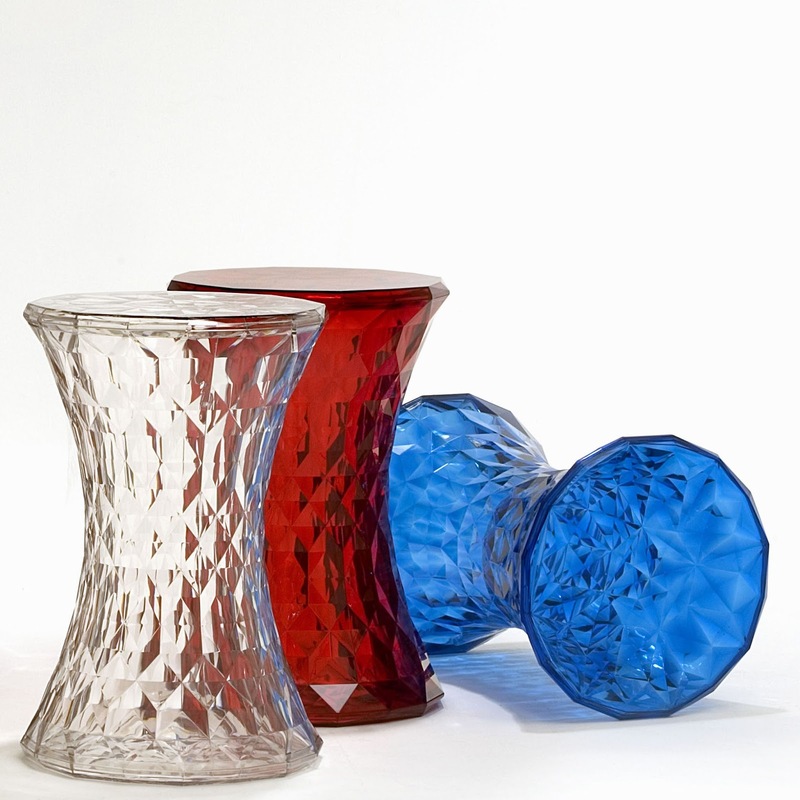 This stool is perfect for indoor and outdoor use. 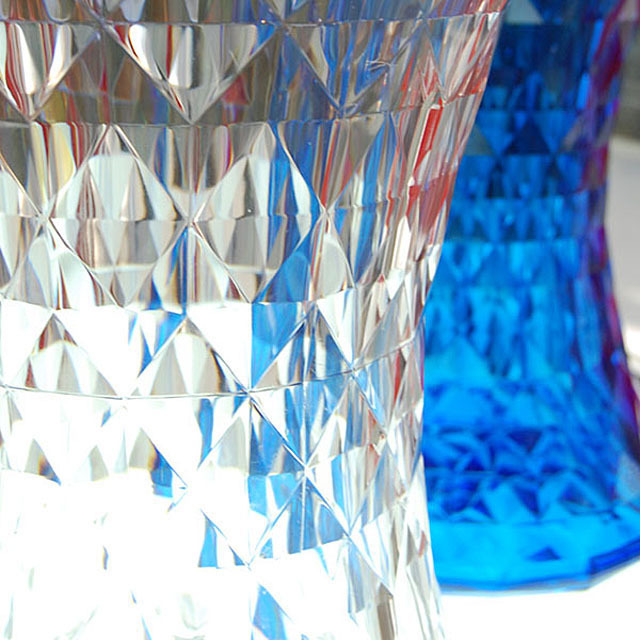 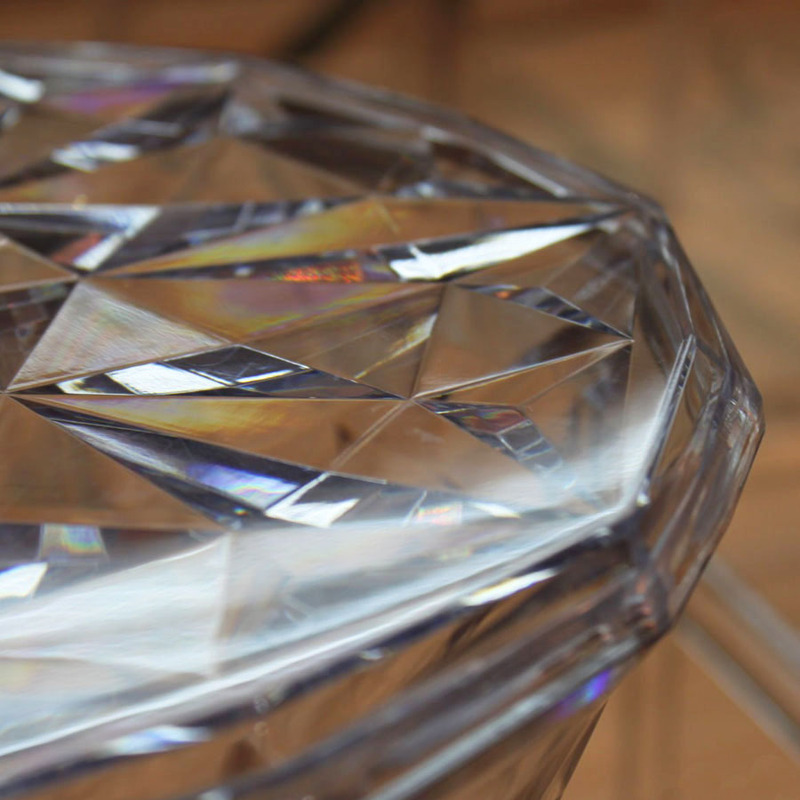 It's materials are durable and the diamond cut pattern reflects light from many different angles. It's a fun piece to use for a stool or a side table. 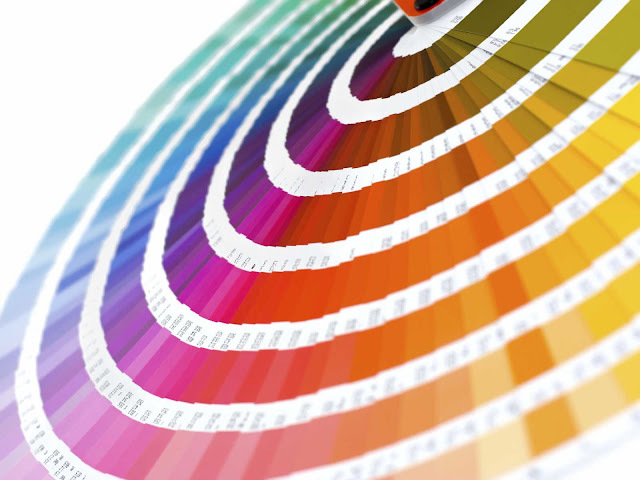 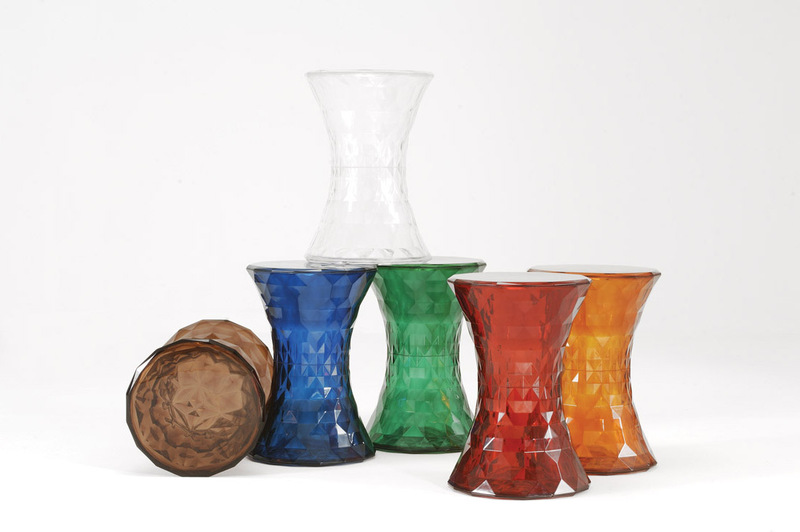 Since it comes in three colors you can mix it up and use several of them in one space without being stale. 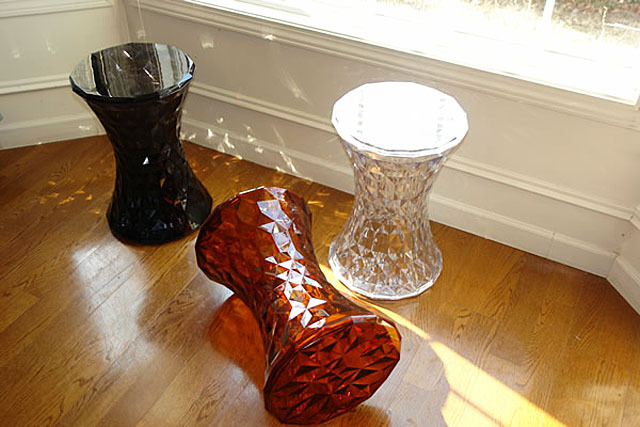 Kartell design Stone Stool on sale. 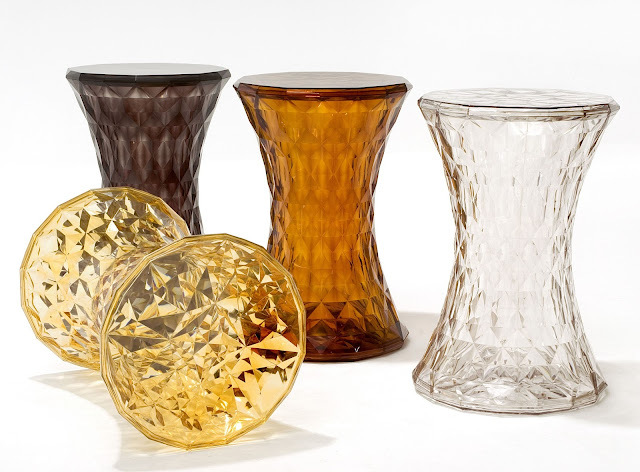 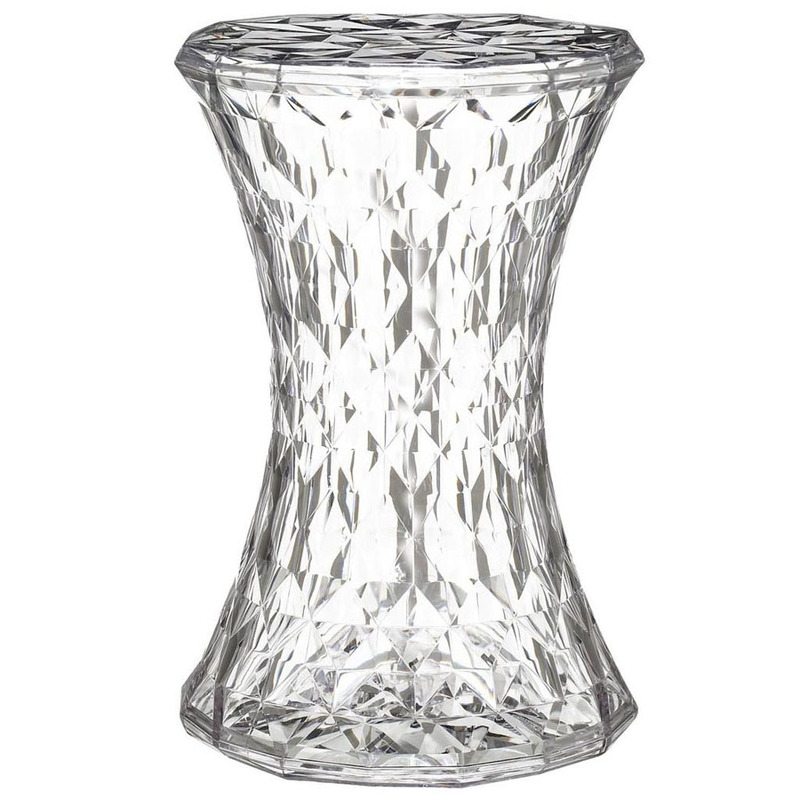 Stone Stool in Crystal by Kartell designed by Marcel Wanders 110% PRICE MATCH. 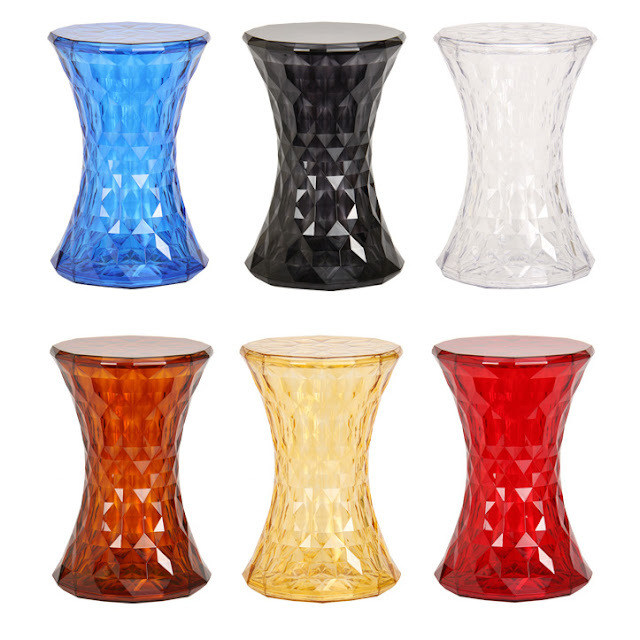 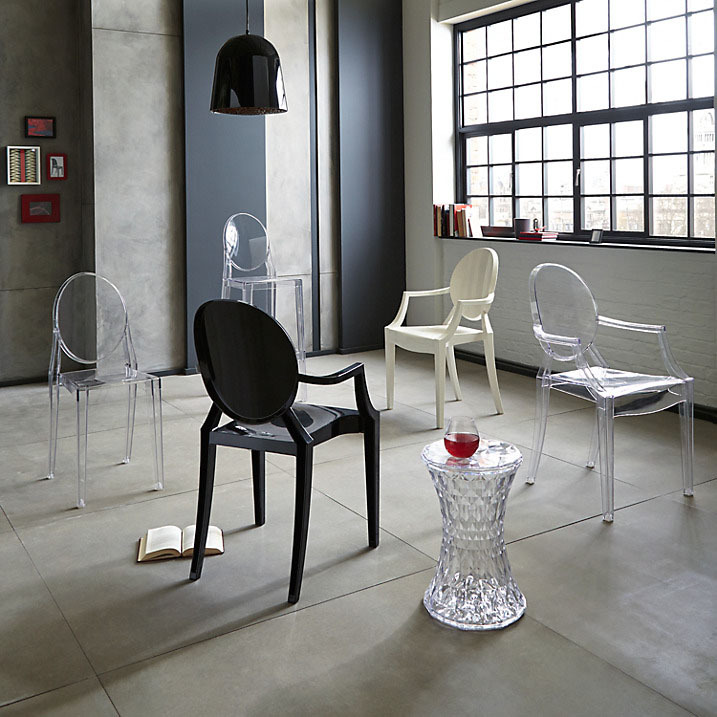 Stardust offers the Kartell Stone Stool and the best in modern design from Kartell with free shipping.